Guest Post by Neil Paprocki, Raptor Biology M.Sc. Candidate, Boise State University. Spent two and a half years working with California Condors in Arizona, California, and Utah for The Peregrine Fund and U.S. Fish & Wildlife Service. Education: B.S. Animal Behavior, Bucknell University. Treasurer and Scientific Director for Wild Lens. Director and Producer of the forthcoming film..."Bluebird Man". Monitoring bluebird boxes is just about the most fun I have ever had birding. 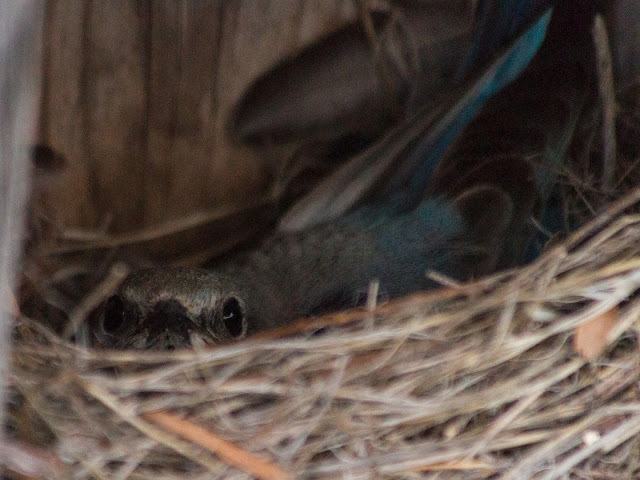 From the sheer joy and beauty of seeing a bright blue Mountain Bluebird, to keeping my eyes open for a Black-throated Gray Warbler, to even discovering a flying-squirrel nest inside a bluebird box! You get a little bit of everything, not the least of which is a deeper connection with the land around us. 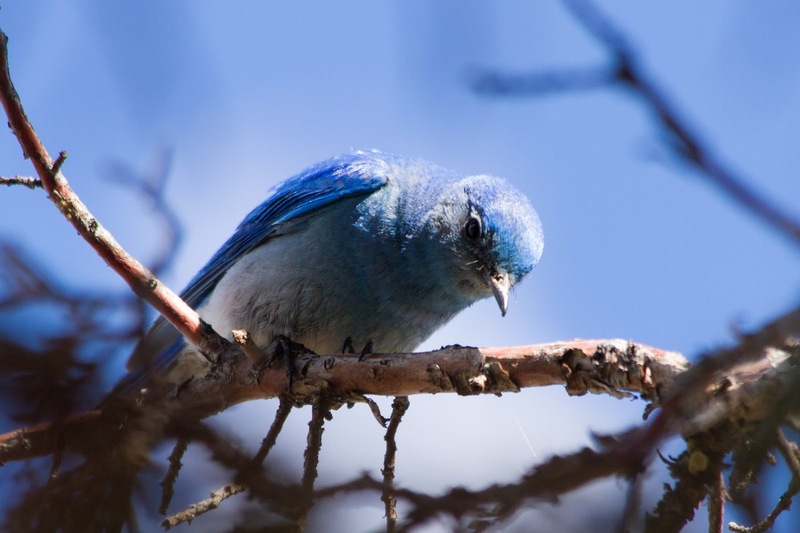 What makes bluebirds so attractive and appealing? 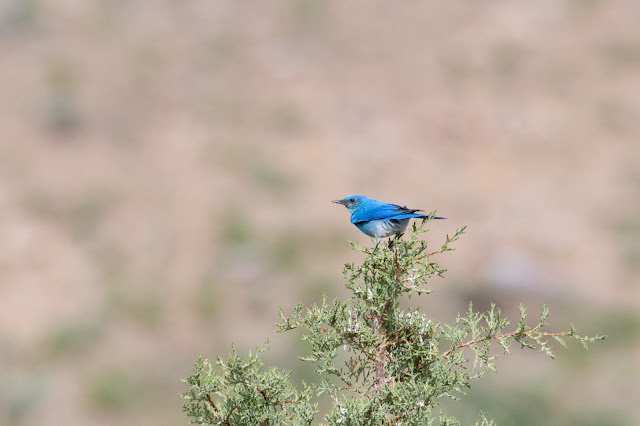 In a new half-hour documentary entitled Bluebird Man, I attempt to explore the benefits of monitoring a bluebird trail, and why this is so critically important to maintaining our connection with nature. Most bluebird enthusiasts are birders, but some are in it purely for the blue. This is a testament to how powerful a symbol bluebirds can be in representing the other 84 cavity nesting bird species that reside in North America. By carefully placing nest boxes out for bluebirds in response to mid-20th century population declines, we have inadvertently created additional nesting habitat for a whole slew of other creatures! Back in the 1970s, one birder took his love of the bluebird’s beauty and turned it into a 35-year commitment to aiding in their recovery. 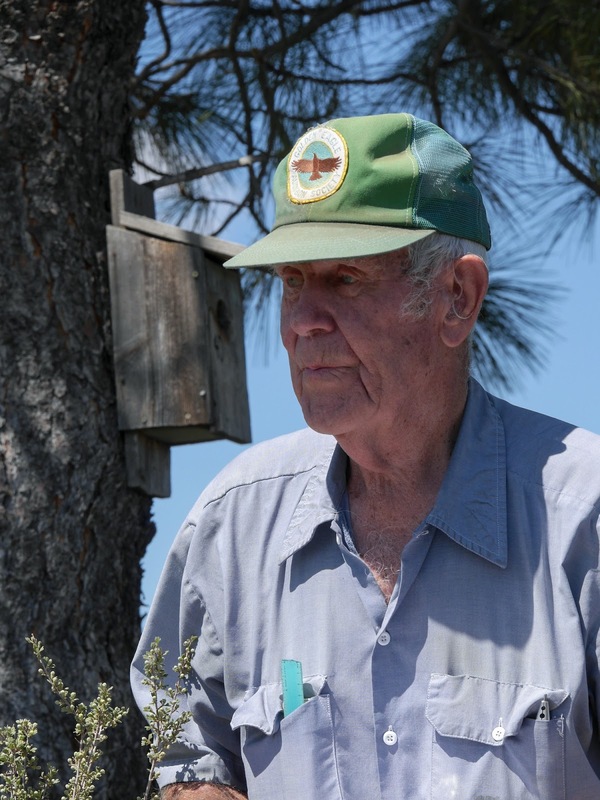 Alfred Larson of Boise, Idaho has monitored over 300 bluebird boxes in southwest Idaho since 1978, and is still doing so today at the crisp, young age of 91. Along the way Al has banded a mind-boggling 27,000 nestling bluebirds! If we as birders don't take some action towards conserving our avian friends, then future generations may not have the opportunity to see what we have seen. 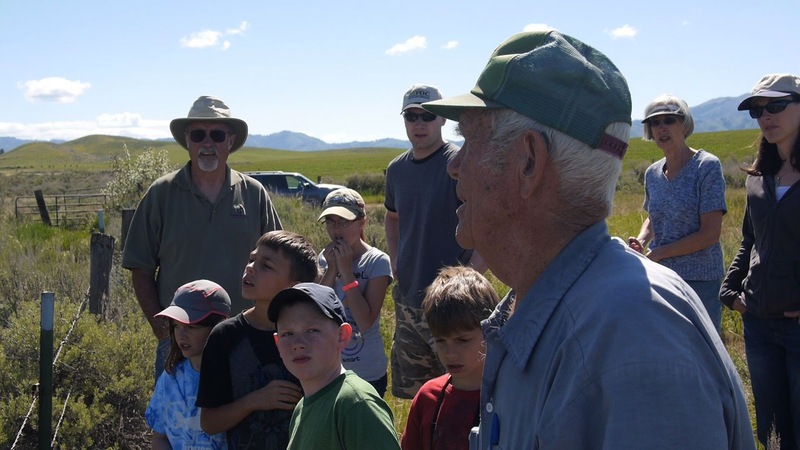 We owe it to them to continue this legacy of stewardship those birders like Al Larson began many years ago. 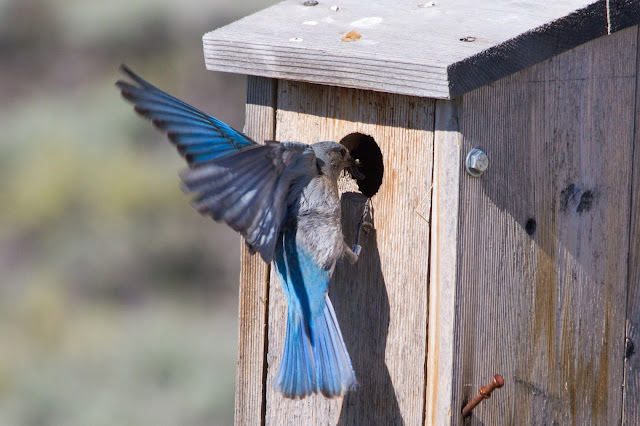 I can't think of anything more fun than seeing a beautiful bluebird on a nest box, while at the same time knowing I am helping to save that species. By telling Al Larson’s story in my new film Bluebird Man (view trailer here), we can help inspire the next generation to feel the same passion that we have all felt for cavity nesting birds. By visiting our Kickstarter page, you can help ensure the stability of future bluebird generations by helping to inspire others to carry the torch passed to us by dedicated people like Mr. Larson. You're correct when you say that it's up to us to carry the torch. The trailer looks great and I look forward to seeing the movie. Thanks for sharing your work. Oh how I love my Bluebirds. Ours are Eastern Bluebirds here in our area --but a bluebird is a bluebird... I love them --and raise several little families of them in my backyard every year. They are so so neat.... Great post, Chris. THANKS! Eastern Bluebirds sparked my love of birding many years ago. 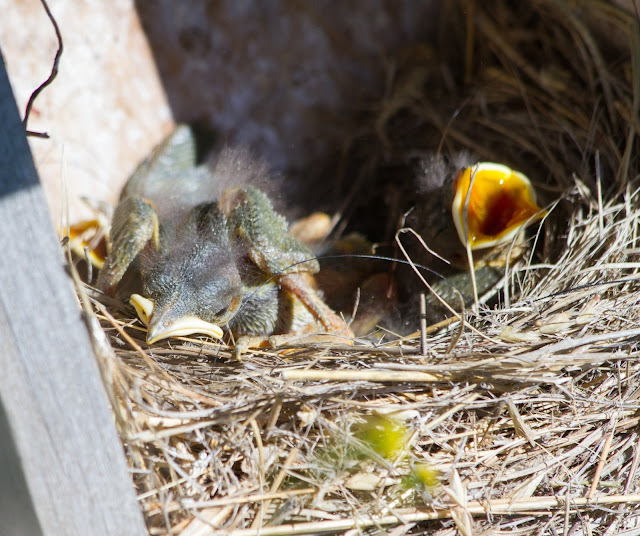 We have several bluebird nest boxes placed on our property and every year two to three broods are successfully raised. They are a delight to observe. It's no wonder why these beautiful birds symbolize love and happiness. Lovely pictures, you do such a great job taking pictures. I love the Mountain Bluebirds but since I live ni South Carolina we have the Eastern Bluebirds. It's such fun watching them and feeding them mealworms. I posted a couple pictures, check it out.